BlueScope Distribution offers an extensive selection of sheet and coil steel options that are either cold- and hot-rolled in Australia. These products are suitable for a wide range of applications from light-gauge material fabrication to heavy plate-feed coil steel applications. 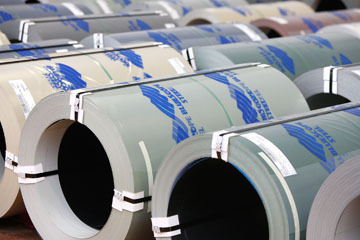 In addition to slit and bulk coil steel, BlueScope Distribution has access to the most extensive range of flat steel sheet products in Australia. Standard thickness ranges from 0.30 mm to 3.20 mm and there are numerous sizes, grades, and material types, some of which are coated or pre-painted, others uncoated. Steel is a versatile metal that is used in various forms for a wide range of industries including the building, mining, automotive, and food and beverage industries. It is used to make an incredibly diverse variety of products from delicate surgical instruments to shipping containers, heavy machinery, and bridges. There are thousands of different types of steel. Essentially, it is an alloy of iron and carbon, with the addition of other elements that are determined by the properties required in the steel. Iron ore is mined and then processed so that the ore is reduced to iron, which contains as much as 4 to 5 per cent carbon. Whilst carbon makes the metal hard, it also makes it brittle, and so the carbon content is reduced during the steelmaking process. Considered the benchmark for quality, product range, supply and delivery flexibility, as well as technical support, BlueScope Distribution’s sheet and coil steel products are designed for Australian conditions and tested to ensure they will perform in these conditions. All products in the BlueScope Distribution sheet and coil steel range comply with the dimensional tolerances that are specified in the dual Australian/New Zealand standard AS/NZS 1365:1996 (most recently reconfirmed in 2016) Tolerances for flat-rolled steel products. 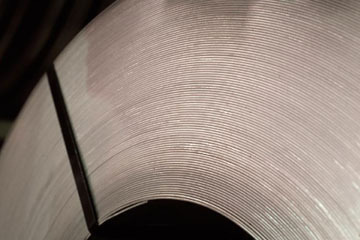 Most cold-rolled products are manufactured in accordance with AS/NZS 1595:2013 Cold-rolled, unalloyed, steel sheet and strip that specifies standards for both cut lengths of steel and coil. Hot-rolled products are manufactured in accordance with AS/NZS 1594: 2002 (also reconfirmed in 2016) Hot-rolled steel flat products. Any metallic coatings that are applied to sheet and coil steel products conform to the Australian standard AS 1397:2001 Steel sheet and strip – Hot-dipped zinc-coated or aluminium/zinc-coated. Steel that has been pre-painted with some type of coating conforms to AS/NZS 2728:2013 Prefinished/prepainted sheet metal products for interior/exterior building applications – Performance requirements. This standard classifies pre-painted and prefinished metal products (including steel) into six types according to durability, aesthetics, and performance in a variety of different environments, some a lot more severe and harsh than others. 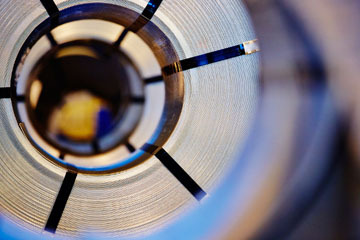 Metallic Coated Strip Products that have been factory-coated with one or more metals that will inhibit corrosion, or metal alloys applied using a continuous, hot-dip process. These products include BlueScope’s ZINCALUME®, GALVABOND®, and GALVASPAN®. Metallic coated products are rolled and sold according to their base metal thickness (BMT), which does not include the thickness of the coating. Pre-Painted Strip Products that are available in the form of sheets and coil for a wide range of applications including roofing, walling, fencing, and rainwater products. Pre-painted steel is available in BlueScope’s COLORBOND® steel in colours that are resilient to the intense temperatures and sunlight that is so typical of Australian environments. Test certificates are supplied for all sheet and coil steel products. All BlueScope Distribution’s sheet and coil steel products are produced locally and distributed by our team who ensure supply flexibility and guarantee minimum lead times. Our highly experienced technical service team is available to help customers and provide advice on a wide range of issues including press forming, shearing and slitting, and joining and fastening. There are various different types of steel including stainless steel, various low-alloy steels, and a wide range of carbon steels that are classified according to the amount of carbon they contain. In general terms, the more carbon steel contains, the harder and more brittle it will be. All carbon steels also contain manganese as well as impurities like phosphorus (P) and sulfur (S), and silicon (Si). In addition, other elements are added to the steel to ensure it is fit for the purpose it is intended. The International Organization for Standardization (ISO) publishes standards and technical reports (TR) with guidelines for different purposes. For instance, ISO/TR 1508:2017 Welding – Guidelines for a metallic materials grouping system provides a uniform system for grouping metal (including steels) that is intended for welding and other purposes including forming, heat treatment, and non-destructive testing. 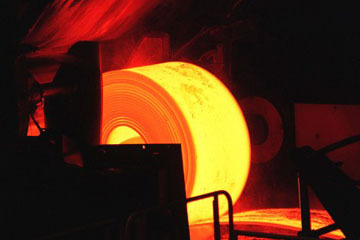 In this particular technical report, in addition to all the other metals (aluminium, copper, nickel, titanium, zirconium, cast iron, and their alloys where relevant) 11 groups of steel are specified including ordinary carbon-manganese steel, fine-grain steels, and steels that are treated to make them resistant to corrosion. Maximum percentages of elements allowed are given for each, and in most of the 11 groups, a minimum yield strength is also specified. Sometimes additional treatments like quenching, tempering, and precipitation-hardening are also included in the technical report. BlueScope Steel is one of only two producers of crude steel in Australia and the only manufacturer of flat steel in the country. The company manufactures steel products in compliance with all the applicable Australian codes and standards and distributes them via BlueScope Distribution.